Happy New Year from your Leadership Development Committee (LDC)! Over the past few months, we have noticed renewed energy and excitement about this beloved congregation. As we begin a new calendar year, we ask each of you to consider what this congregation means to you. How do you feel about our presence in this “corner” of the Bay Area? How is our congregation serving the larger community and how are we serving each other? We ask you to do a simple self-reflection. When we all work together, we can accomplish great things. Where would you like to get involved in this year? What activity/activities might invigorate you, energize you, and feed your soul? There are many ways to get involved-volunteer with the children, help with social justice, take an adult RE class, and yes- join (or check out) a committee that sounds interesting to you. The Leadership Development Committee is here to serve you, to help you find a place where you can get more involved and feel a deeper sense of belonging and sense of accomplishment. If you are not sure where you would like to get involved this year, come see us! Make 2019 a year for increased participation. You’ll be glad you did! Leading the service will be Rev. Barbara F. Meyers and assisting will be Worship Associate Mark Rahman. Peak Performers will provide our music. We are pleased to announce that the board asked Rev. Jo if she would stay with us for a 2nd year as our interim minister and she accepted. This month Rev Jo will meet for coffee and breakfast (if you so choose) to chat about social justice and what it means to you. Let’s meet at Suju’s Coffee, 3602 Thornton Ave, Fremont, CA 94536 on Wednesday morning Feb 13th at 9 am. I’d love to hear your views about social justice in our community or any other topic that is important to you. Let’s chat over coffee! On Sunday, January 20, the First United Methodist Church and the Mission Peak Unitarian Universalist Congregation joined together for a joint service. Our choirs sang separately and together, our ministers both preached (and what good sermons they were! ), and we donated $763 (our offering, aside from pledge reciepts) to Abode Services in honor of King’s life of service. Abode is a locally based non-profit that works to rehouse the homeless and prevent homelessness in our community. Thank you to everyone in both congregations who were so generous! May we continue to practice charity while we search to change root causes (as suggested by Pastor Hee-Soon Kwon’s homily). – Location and details TBA – Watch this space for more information about this exciting event! The Tri-City Interfaith Coucil and local Human Relations Councils invite you to their annual Interfaith Harmony Day event, featuring a Concert and Conversations of Love from over ten faith traditions. Be part of the Power of Love Extending Harmony on February 2, 2019, from 1:00 p.m. to 4:00 p.m., at Niles Discovery Church, 36600 Niles Blvd. 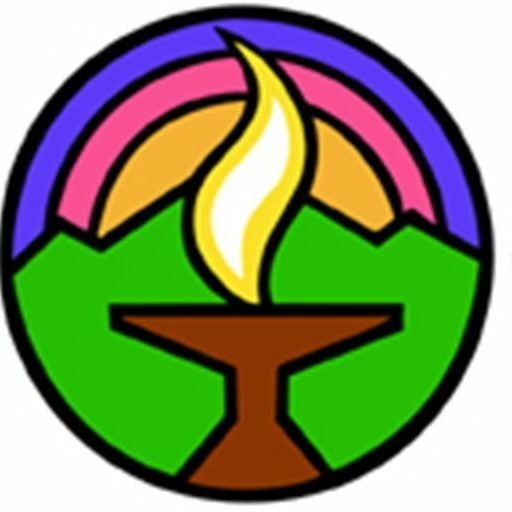 Mission Peak UU participates every year with a booth to educate the public about Unitarian Universalism. Many members also attend and join in the conversations and activities, which are always rewarding. And there’s food! Hope you’ll join us this year!